Despite its famously secular constitution, Turkey has had intermittent bouts of prosecutions under “blasphemy” laws, including under the current, Islamist-leaning AKP government. Freedom of expression is protected by the constitution, but is increasingly not respected in practice. Crackdowns on social media in 2014, including an enforced Twitter blackout, gained attention worldwide. 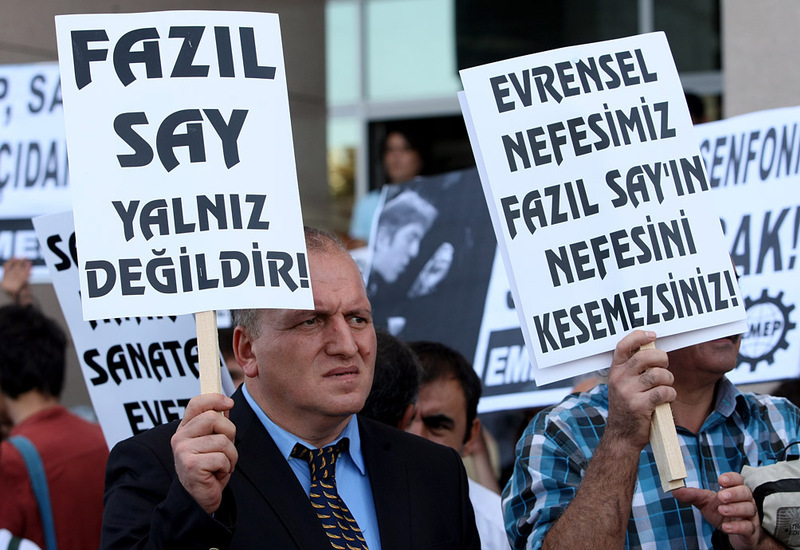 The prosecution of world-renowned Turkish pianist Fazıl Say in 2013 was only one of the most prominent legal actions against Turkish artists, writers and intellectuals who have made statements about religion and Turkish national identity. Say, an atheist and classical and jazz pianist, was charged with insulting Islamic values in Twitter messages. The cited message echoed the words of famous 11th-century Persian poet, Omar Khayyam, poking fun at afterlife beliefs. Say denied the charge, but was handed a suspended 10-month jail term on 15 April 2013. “The blog piece for which I was prosecuted and convicted argued simply that disrespectful speech about an ancient Arab leader – implying the prophet of Islam – was a matter of free speech that should be under the protection of law. It employed mildly disrespectful language about the prophet to illustrate the point. As a result I was attacked in vile language by a government minister, a top aide to the then prime minister, and the top religious official of the country; several newspapers launched a lynching campaign; I received hundreds of death threats; I was prosecuted in about a dozen courts around the country; and I was sentenced to 15.5 months in jail for blasphemy. I believe the case illustrates how gravely free speech is imperilled in this country; at least as far as Islamic prejudices are concerned. In May 2014, authorities cracked down on a popular online forum. 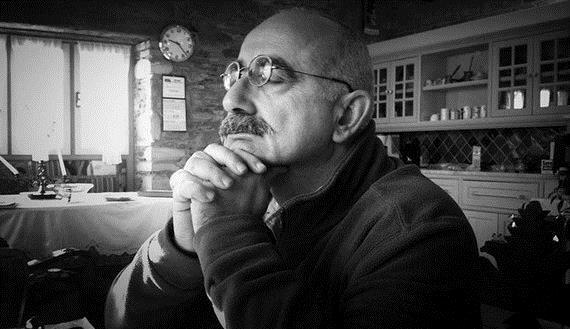 Sedat Kapanoğlu, founder of one of Turkey’s most popular online forums, Ekşi Sözlük (Sour Dictionary) was given a 10-month suspended sentence for blasphemy. A police complaint alleging insults to the Prophet Muhammad were made on a discussion thread at the forum. Some 40 forum members were detained by police and charged with insulting religion. The court ruled that Kapanoğlu had committed the crime of “insulting the religious values shared by a group of society”. The 10-month sentence was suspended, based on the time elapsed since the crime was committed and the means used for it. The court also gave suspect Özgür Kuru seven months and 15 days in jail on the same charges, but also suspended the sentence. The court acquitted a third suspect, Altuğ Şahin, on the grounds that it could not be detected whether he actually committed the crime of “insulting religious beliefs.” The court also decided to suspend the cases against other 37 suspects. However, all the suspects may be retried if they commit the same crime within three years.